Several years ago, before the release of Fallout 3, I went back and played through the entirety of both Fallout and Fallout 2. I had never played them before, and by the time I finished with both I was practically drooling for Fallout 3. While I was initially displeased by it due to the shooter oriented combat, I eventually got over it and I truly enjoyed the third installment in the series. I went of to spend over 100 hours in the game on two different characters, which may be why I felt a little burnt out the second I started New Vegas. Vegas is filled with booze, hookers and gambling. In game too. 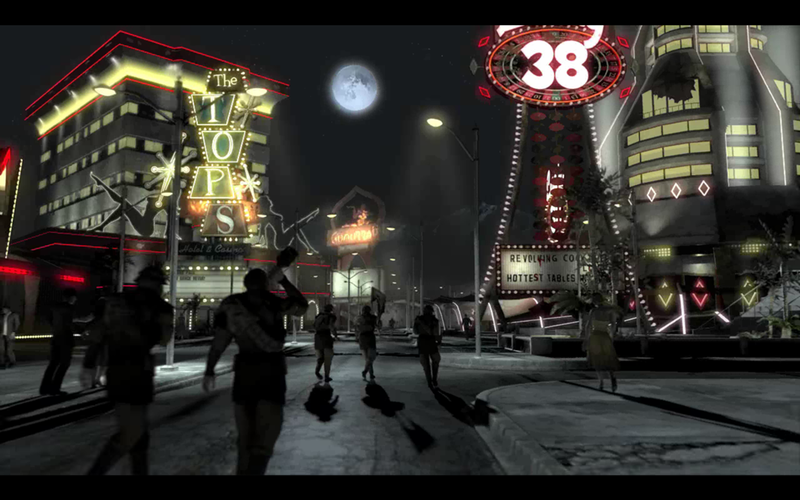 New Vegas is basically a very large expansion pack for Fallout 3. The graphics, gameplay and presentation are near identical aside from the new locale. Does that make it a bad game? Or not worth the $40 price tag? Let’s find out. New Vegas opens with your character getting shot in the face by a man named Benny over a platinum poker chip. You’re left in a shallow grave to die, and rescued by a robot named Victor. Victor drops you off at the local doctors house where, and though it seems impossible, your character recovers. Now the odds that someone who was shot in the head would recover in a few days in the real world are slim. In the world of Fallout, where everything is rusty, dirty and old, the odds that your character would survive without a massive brain infection that would eventually kill you anyway seems impossible. The doctor is there to ask you questions and assign stats to your character, though anything you don’t like you can always change before you leave his house. I didn’t like the way they used the doctor to generate your character, as I felt that often times it didn’t make sense. Such as when he asks you a series of questions and you tell him the first word that comes to mind. At the end the doctor simply tells you that he has no idea what any of that means because he doesn’t know you, so you should just evaluate yourself. Good job doc. 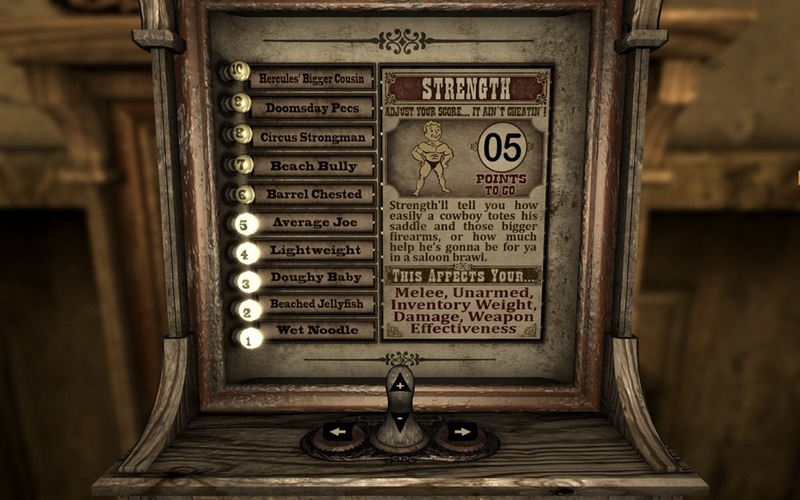 Instead of a children’s book to allocate stats like in Fallout 3, in New Vegas you get a mechanical grip tester. After the doctor patches you up he hands you his old vault clothing and his pip boy, something I can’t imagine anyone giving up lightly in the Fallout universe. Still, at least they came up with a new origin instead of falling back on the “You’re a vault dweller, and the first one to leave” story that we’ve seen in several Fallout games. It IS interesting enough to get the ball rolling, so I can’t complain too much. The starting town of Goodsprings was pretty enjoyable for me. I found it more interesting than Megaton, though there was no option to nuke the place. Still, the citizens had more interesting motivations and stories than I expected, and I immediately got a creepy vibe from Victor that only got worse as the story progressed. Goodsprings itself is basically a tutorial for the game, though they have included an option to skip most of it for anyone who is familiar with the Fallout 3 combat. If you do skip it though you’ll miss out on some of the dialog from an old friend, the voice of Amata in Fallout 3 is your tutorial guide for New Vegas. Some people have complained that New Vegas took a while to get going, but I’d have to disagree. 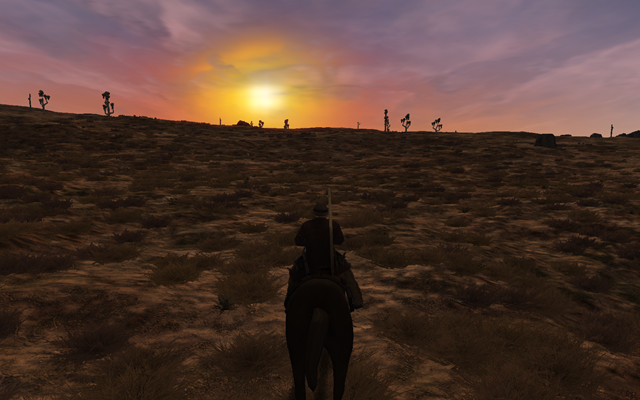 Some of the most fun I had in the game was in Goodsprings and the surrounding areas. Though I was told the game picked up once you got to New Vegas, I found it to be the opposite. 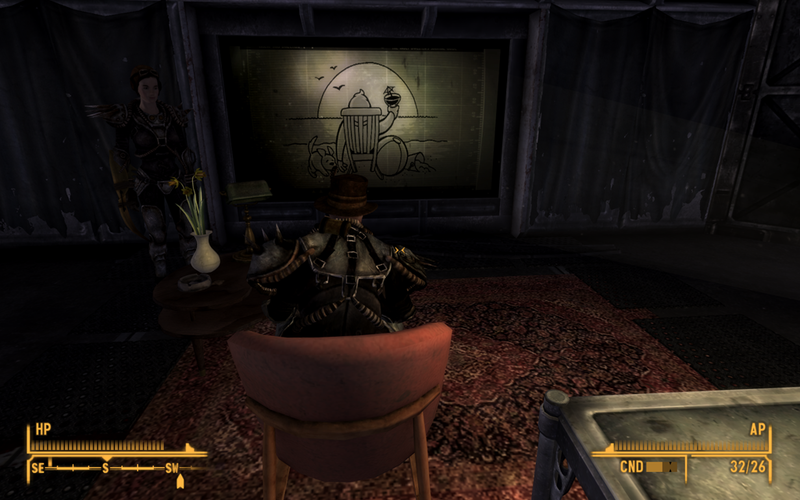 By the time I made it to New Vegas I was well into many of the faction storylines, and the Vegas content actually felt like a slow crawl for around five hours. 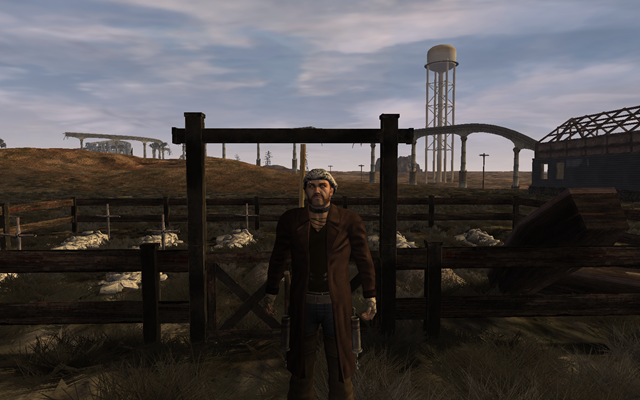 Still, after that initial bump New Vegas was exciting, but it’s the wasteland that really made this game for me. 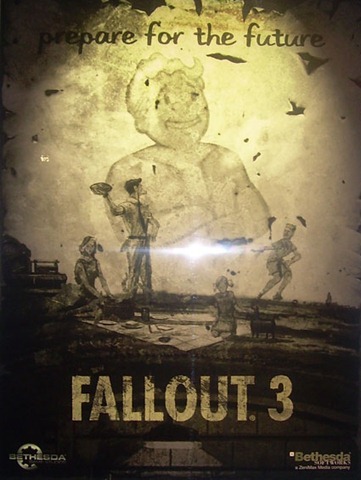 There were bugs, but nothing out of the ordinary for a Bethesda, or Obsidian for that matter, game. I did however start playing the game after the first patch that cleared up many of the major bugs, so I did get lucky there. Sadly there is one bug that I seem to have, and it causes the games launcher to crash nine out of ten times I open it. It’s easy to skip the launcher entirely, but I like to use Steam to launch my games, so I just dealt with the ridiculous crashing of the launcher. Once I got in game it was a fairly bug free experience for me, though I may have just gotten lucky. The companions in New Vegas are a lot better than those of Fallout 3. Both in their inability to permanently die, something I hated in Fallout 3, and in their backstories and side quests. I was especially pleased with Veronica Santangelo, who was voiced by Felicia Day. A Brotherhood of Steel (my favorite faction) scribe, Veronica has ventured out alone into the wasteland to find resources for the local Brotherhood chapter. By following her quests I interacted with the local chapter of the Brotherhood of Steel, and was eventually accepted into their ranks as an honorary Paladin. This really had me excited, as the Brotherhood has always been my favorite faction in Fallout. This was where my choices in the game came to a head. So far I had been following Mr. House, and I had decided that his was the faction that I was going to fight for on this playthrough. I had just finished a mission for him, and he asked me to destroy every member of the local Brotherhood of Steel chapter. I was floored, and even had the ability to ask him if I could go about it in such a way as to keep them alive. Eventually it came down to a simple option. Kill off the Brotherhood of Steel or turn on Mr. House. I fought myself over this decision for hours as I did side quests and explored the landscape. Anything to avoid the issue. Finally I decided that I had committed to Mr. House, and I would continue to support him. I made my way to the Brotherhood of Steel bunker and was welcomed as a friend. My heart broke as I thought of brutally murdering them all, but I realized that if I set off the self destruct I wouldn’t be able to loot all that power armor and plasma weapons, and my armor’s durability was drastically low. Luckily I had completed Veronica’s quest line, which has several diverging paths, and I had chosen to get a very interesting gun. This gun messes with mechanics, and basically one or two shots any robot or anyone in power armor. I felt terrible in a way I had never felt over a video game as I slaughtered my friends in the Brotherhood of Steel, going room to room and painting the barren metal hallways with their blood. I felt REALLY bad killing them. On the other hand, loot. If every quest in New Vegas was as emotionally involving as that one was for me it would be my all time favorite game. Sadly though the writing varies wildly from side-quest to side-quest. Sometimes a story is interesting enough to keep me following it until I finish that particular quest line, but most of the time they are the usual “go here for no real reason and do this”. The later is pretty prevalent once you get into New Vegas proper. You’ll be ferrying orders, documents, hats, guns and anything else from one place to another, usually just far enough away that it causes you to go through a loading screen. That is another problem with this game, and with the New Vegas area in particular. The loading screens don’t take too long on the PC version, but when I am having to go through a door every three minutes as I make my way around New Vegas the loading time really adds up. Especially when you realize that New Vegas itself it broken into five or six sections, each of which require a loading screen to pass between, and woe be the player who wants to go from south Vegas to north Vegas as you’ll be passing through several loading screen doors. Unless you decide to just fast travel there. That’s one of the biggest issues in New Vegas. If you want to get anywhere without fifteen loading screens, you’re going to need to fast travel, which means it feels less like an open world game at times and more like a level based RPG shooter ala Mass Effect. Combine this with the boring landscape textures and the terrible animations that are notorious in the Oblivion engine and you’ve got a game that doesn’t feel as open or entertaining as it could have. Another disappointment is the severe lack of good looking armor in the game. You’ll find mostly low level thug armor sets which look very much like bad guys in a Mad Max movie, and a few pieces of armor that look alright, but for the most part the armor sets in the game really let me down. Especially since most of the cool ones I found were faction specific, which means if I wore them, enemies of that faction would see me as hostile. Not exactly a good thing if you like the enemy factions armor set. The last thing I want to touch on is the music. Fallout 3 introduced me to some real amazing songs from way back when, and reintroduced me to many that I remember listening to with my grandmother. The selection was somewhat limited, but when you combined the great dialog of Three-Dog, the oddly reassuring rhetoric of President Eden, and the amazing music they included, you felt like you constantly had a companion with you as you blasted your way through the wasteland. In New Vegas this is all but completely gone. There is an interesting station run by Super Mutants that I ended up destroying early on, which was kind of sad as it was the best station out there. I understand them choosing Mr. Las Vegas himself, Wayne Newton, to be the voice of New Vegas on the in game radio, but at the same time his lines are delivered with so much slurring it was comical when he was trying to be smooth. Add to that the fact that there were only a handful of songs in New Vegas, perhaps as low as five that I heard (there are more, but it didn’t feel like it), and I had the radio off for the majority of the time. 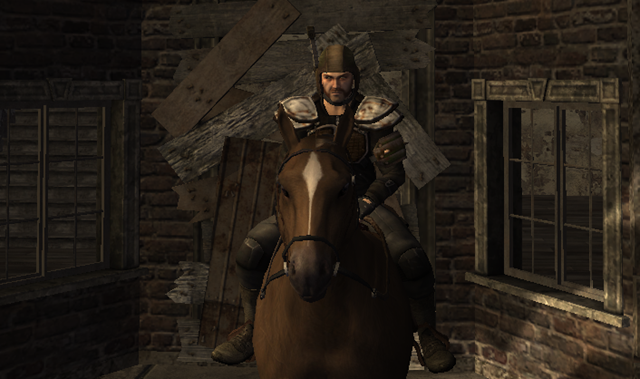 Still, the faction and companion missions are the reason you should play Fallout: New Vegas. They are also the reason you should replay New Vegas over and over again, siding with the different factions to varying degrees and seeing what happens because of your choices. They are your choices, true meaningful choices that don’t have immediate consequences but sometimes come back to bite you many hours later, preventing the quick ‘oh no!’ reload that can happen with other games. Some quests are better than others. At over 45 hours on a rather speedy playthrough I can say that New Vegas was well worth the money I paid for it. While more of an expansion pack than a new game, New Vegas was very enjoyable and it will continue to be for many more hours as I go back and complete new faction missions. Add to that Bethesda’s renown modding community and you have a game that will continue to entertain for as long as you want it to. 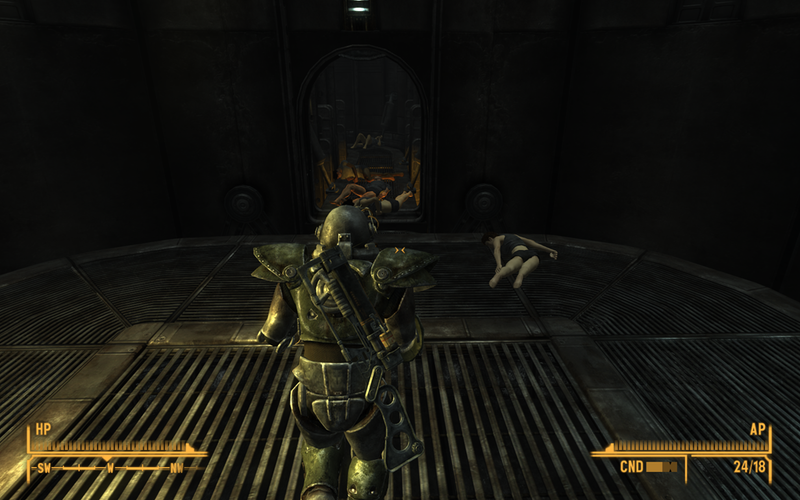 Still, if you burned yourself out on Fallout 3, you might want to give your first playthrough of New Vegas a wait. Say three or four months? While reloading Fallout 3 for the third time today (a total of six so far!) I stumbled upon the fact that Fallen Earth is on a very nice sale. Let me explain the first part of that. I love Bethesda games, while Bethesda games hate me. They crash usually at a rate of once an hour on any machine I put them on, with or without mods. This has been the case since Morrowind, on through it’s expansion packs, into Oblivion and it’s expansion, and straight on to Fallout 3. I put up with it because they are amazing games and a quick reload once an hour isn’t going to ruin my experience. On to the sale and the decision. This sale is calling to me. I really REALLY enjoyed my time in Fallen Earth and my body has been craving a return, it’s partly why I am loading up Fallout 3. I love the setting and to be honest I enjoyed Fallen Earth MORE than Fallout 3, though it lacks any single player story of course. I also didn’t experience it’s lack of end game, but that doesn’t bother me as I can just roll alts until I get bored with that and leave the game. I don’t feel that MMO’s begin at the end game. I enjoy the leveling and then usually get bored afterwards. So what the dilemma? If I buy Fallen Earth I would need to unsub from Star Trek Online until I was done playing Fallen Earth, or maybe swap them out every month if I felt like it. This is because I only have two games ever going at the same time, one I play with my wife and one I play by myself. It’s a financial issue that I refuse to budge on, as $45 a month for MMOs is more than enough for me. The two games are vastly different. On one hand I love the story missions in STO. They have an interesting story and lots of scripted events that can make them very enjoyable. On the other hand that’s pretty much all the game has going for it at the moment aside from the Fleet. In Fallen Earth I have much more to do, but less people to do it with (and far less that I know, IE nobody). Add onto that the fact that Fallen Earth doesn’t have great story quests, though there are a few, and it’s going to be a tough choice. I think for the blog it would be more interesting to play Fallen Earth, as there is more to do and even if all of the bloggers I read were writing about it, each of us would be doing something different. In STO it feels like you are on serious rails, and you are, which isn’t a bad thing, just a different feel. Well, what do you all think? 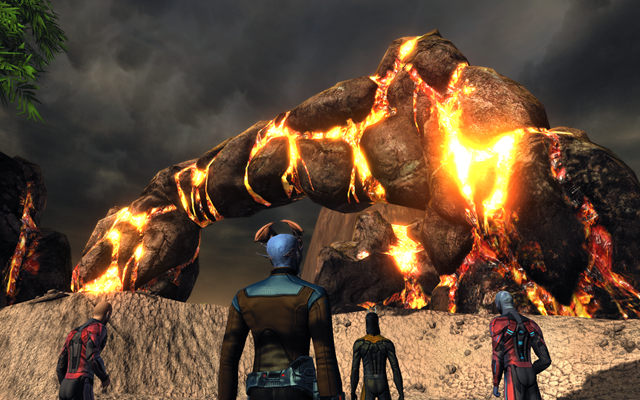 The beauty and quests of Star Trek Online? Or the grit and adventure of Fallen Earth? 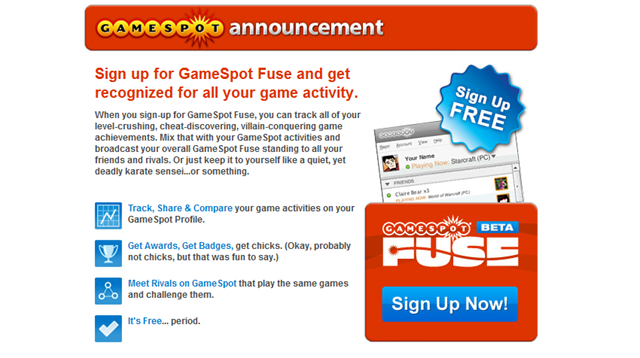 I received an invitation on spam account to join GameSpot Fuse, the beta anyway. I got all excited because I have been downloading and trying out Steam alternatives for tracking achievements, IMing and other services inside games. I tried X-Fire, the most fugly piece of software I’ve ever used, including their website. I then moved to Raptr because there services seemed better, and so far I’m pretty happy with it, especially since they now allow in game instant messaging. When I read this in my inbox I thought that GameSpot was coming out with an alternative to these products and I signed up to test it out. It turns out, or so it seems at the moment, that it just integrated into your Raptr account and tracks those statistics on your GameSpot site. This is useless to me. I don’t hang around and friend people on GameSpot and I doubt ever go there unless I am following a random link. I wanted a client to download that would do this, and I already have the client they use apparently. I’ll continue messing with it to see if there are other features I’m missing, but if not it seems rather limited. There ARE special GameSpot achievements, but I couldn’t care less about them. I only enjoy achievements that I randomly get while playing and I never go out of my way to even find out what achievements are out there. Except in MMO’s, where I will go FAR FAR out of my way to achieve Deeds or other “achievement” type trophies. Let me know if you have found a different use for it, I’d be interested to know. On a completely unrelated note I’ve been reading my favorite book trilogy again, in omnibus form, The Faded Sun Trilogy by C. J. Cherryh. I am a lover of settings. I don’t care what the story is (though the story is great in these books) if it has a good setting, and this plays over into movies, books and games. I’ll pick up pen and paper role-playing books with no intention of playing them, just to read up on the setting. I create settings in my free time and try to breathe as much life into them as I can, without ever creating anything resembling a story. C. J. Cherryh puts my efforts to shame in this science fiction trilogy that creates two VERY unique alien races that have amazing depth, relatable to us enough that you can understand them, but different enough that you don’t read them as being human. I’m also preparing Fallout 3 for another playthrough. This entails a lot of searching on mod sites and downloading random things to improve the game. I have the same several day adventure whenever I try and play Morrowind or Oblivion too. Got any mods you’d recommend for Fallout 3? Leave them in the comments. Never fear though, I shall return to MMO’s shortly. I have a Star Trek Online post I’m putting the finishing touches on, as well as a few other little things that are in the works. Now I’m going back to my book. This is going to be an ongoing list of tips for new Fallen Earth players that will grow as I learn more. I’m taking questions from the in game help channel, questions I’ve had, and questions from any commenter on this site kind enough to leave one. Away we go! 1. Midway Armor Merchant – If you start in Midway this is a question you will eventually ask. How can you get to the roof of the building so you can buy armor?